With less than a week to go before Election Day, do you know who you are voting for? 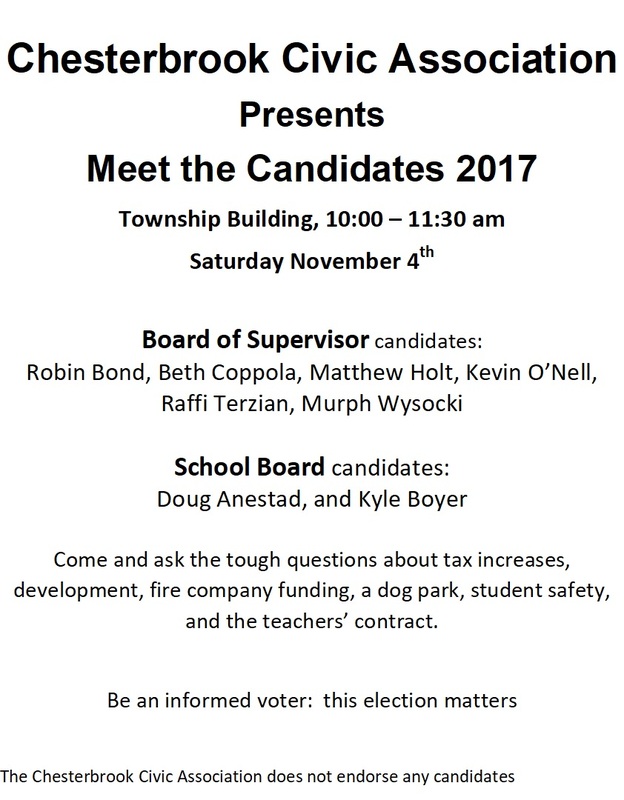 If you are undecided or have a specific issue to discuss, please consider attending the Chesterbrook Civic Association’s Candidate Forum and learn about the Tredyffrin Township supervisor and TE School District candidates on Saturday. Open to the public, the event will give voters an opportunity to bring important topics to the forefront — Saturday, November 4, 10 AM – 11:30 AM at Tredyffrin Township Building in Chesterbrook. 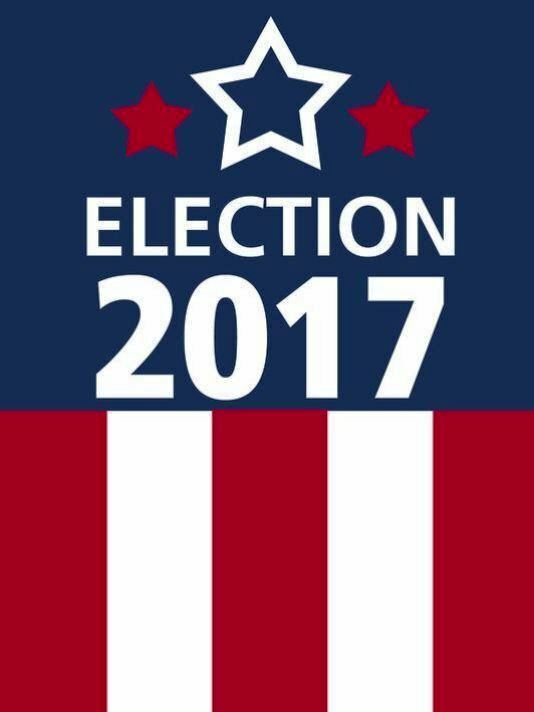 What do each of the township supervisor candidates feel is the single most important issue facing the township? And what is their background and/or experience makes them qualified to help with the issue. School board candidates — how will you balance the sometimes-conflicting interests of the students, taxpayers and teachers. And what in your background and/or experience will help you meet the needs of these three groups. Use this opportunity to learn in depth about the understanding of issues, the personal perspectives, and the goals of candidates standing for election in our pending local elections. 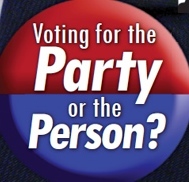 The importance of knowing your candidates and what they stand for is especially significant in these times, when recent history teaches that what politicians say they plan to do is not necessarily what they actually do after being elected. It’s important to know the issues, and to vote. Not voting can influence an election as much as voting does. If the person you did not want to win an election prevails, it may be that people who were eligible to vote did not vote. Sadly, no League of Women Voters debate is scheduled for the supervisors and school board candidates but the Surrey forum will provide an excellent opportunity to meet and learn about the supervisor candidates in Tredyffrin Township. Below is the list of six candidates on the ballot. Voters will choose two at-large supervisors and voters in District 2 (middle) will choose one supervisor.